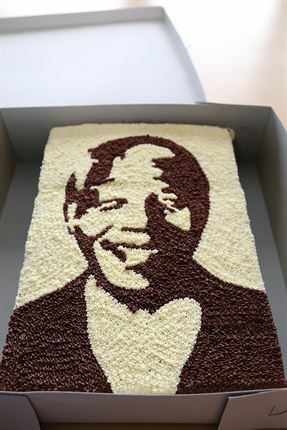 Amazing cake made by the phenomenal team at Charlys Bakery in Cape Town. 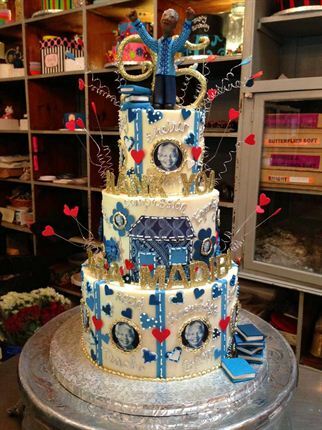 This gorgeous one was sent to us by Kerry. 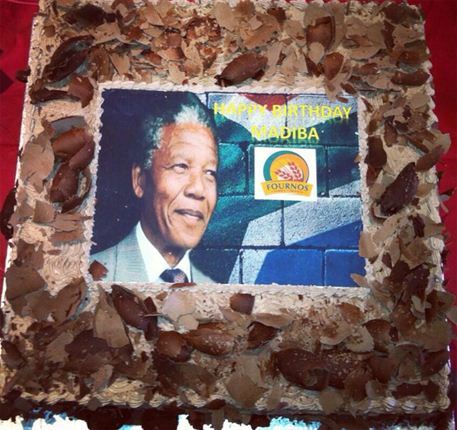 This huge chocolate cake with chocolate and vanilla butter cream frosting was made for the staff of adidas SA for their 67 minutes of contribution to Mandela day. 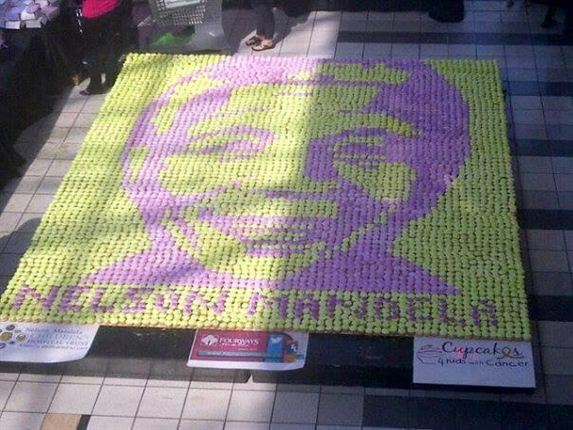 Via Twitter from Samukelisiwe Mabaso '@Sammi_Sam_Sam @food24 Purple Plumm & Cupcakes 4 Kids with Cancer made a cupcake mural'. 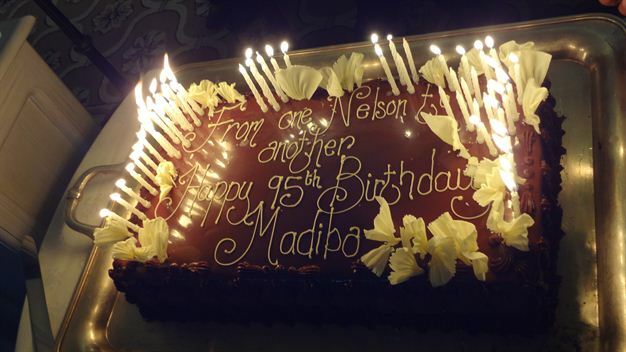 This came to us via Twitter from @anicoloudakis (Astrino Nicoloudakis. 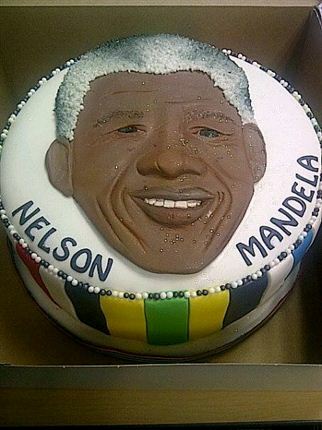 Sent in by Julie from the Mount Nelson's pastry team. 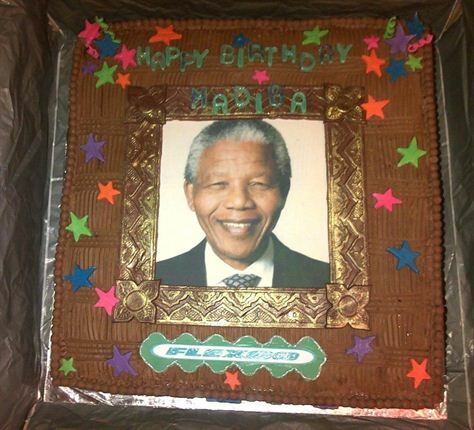 From Babs -The Flexco Madiba cake. 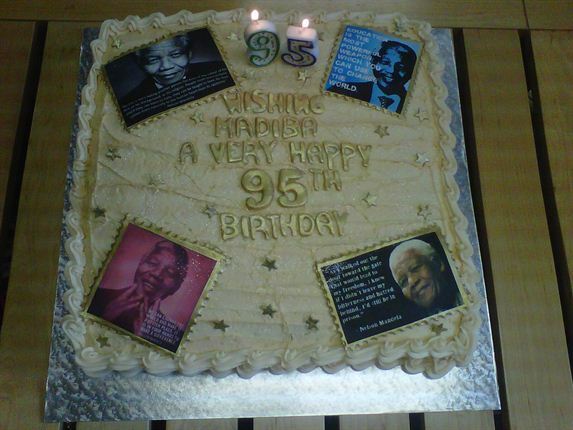 From Rosemary, this cake was made and raffled. 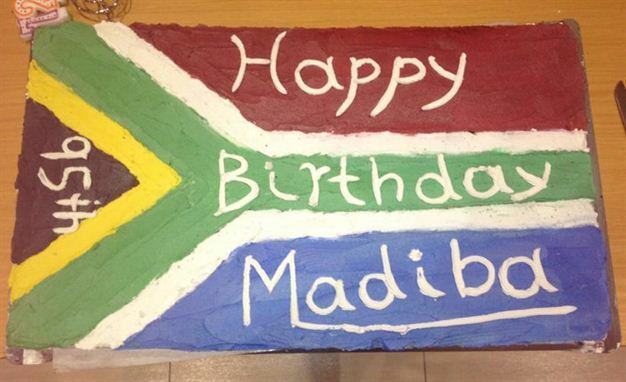 Via Twitter: BATB FANATIC SA @Greycent1 @News24 @food24 our school got one made'. 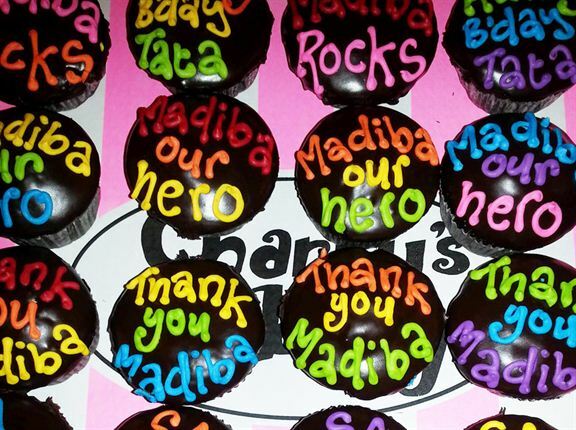 More colourful cupcakes from Charly's Bakery - yum! 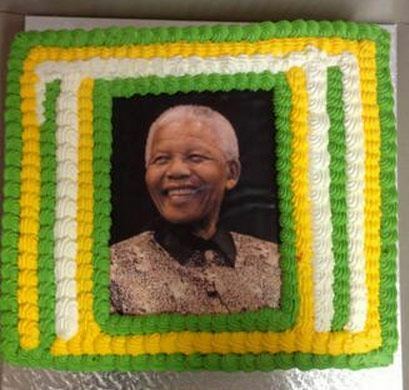 Via Twitter from Wits Service '@WitsServices @food24 Services Dep@WitsUniversity received this Cake from Royal Mnandi res students will also receive cake tonight'.